Earlier this month, the Assam state in India went through its worst monsoon season in nearly a decade. The downpours flooded communities, swept away homes, and killed 26 people in the process. However, the damage didn’t stop there.The flooding also swept a female elephant away from her herd. 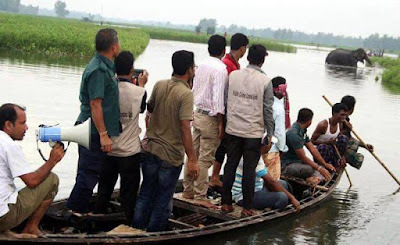 Suddenly, she found herself in a very precarious situation…one that brought an entire village together to rescue her.The horrible monsoons in Assam, India earlier this month wreaked all kinds of havoc. 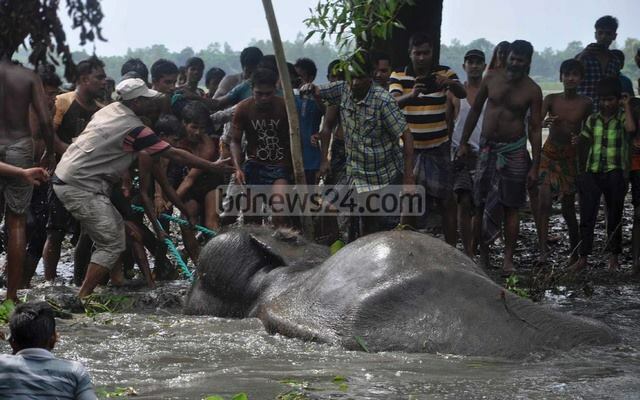 They also washed a female elephant into neighboring Bangladesh, extremely far away from her herd. 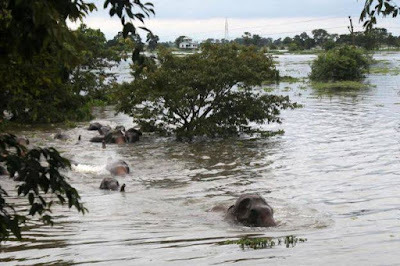 The horrible monsoons in Assam, India earlier this month wreaked all kinds of havoc. 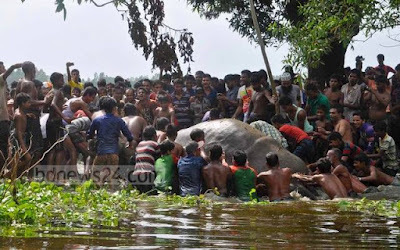 They also washed a female elephant into neighboring Bangladesh, extremely far away from her herd. For weeks, she was stranded in a secluded, flooded area with very little food and was uncooperative with those who tried to help. Conservationists strategized ways to rescue the elephant, finally settling on a plan to try to tranquilize her and transport her to a nearby wildlife park. Hundreds of villagers from the surrounding areas leapt into action. 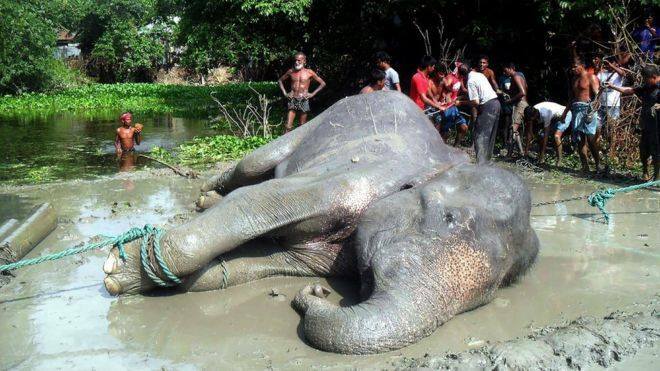 Some helped keep the elephant’s head and trunk above water while others secured her body with ropes in order to drag her to a safer area. With a great deal of effort, they began to move her. They succeeded in getting her to dry land, and after a few hours she came to. Once she could walk again, conservationists were able to guide her the rest of the way to the wildlife park in nearby Dhaka, where she could begin to rest and recover, finally safe from the flood waters.